Looks like the NY Times is trying to muscle its way into my topic! 🙂 Welcome! But then I faced the real challenge: disposing of six rooms’ worth of furniture and hundreds of decorative plates, crystal bowls and other knickknacks my parents had accumulated during a 61-year marriage. . . . There isn’t a kitchen that doesn’t have an array of pots and pans. They might be dime-store quality or fancy brand names like Le Creuset, Dansk, or Calphalon, but everyone owns pots and pans. So, now, do you–and probably more than you want or need. So what to do with the ones you’ve inherited? 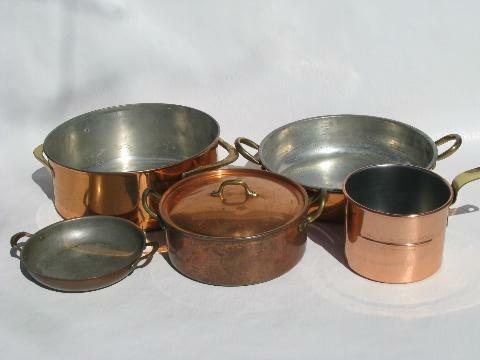 Unless they are very old, used pots and pans have no value and are best donated to a shelter, a young person just starting out, the Catholic Charities (which helps establish immigrant families), or those old reliables–Goodwill Industries, Salvation Army, Amvets, whoever collects in your area. But copper pans, kettles, and boilers have are in a class by themselves–they do have monetary value since the price of copper has skyrocketed in recent years. These will sell on eBay or at a garage sale, auction, or estate sale. 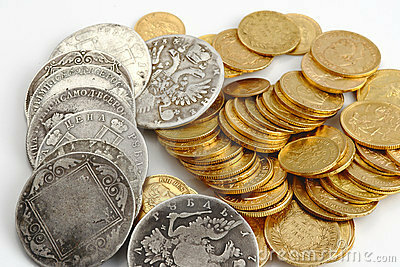 Gold coins & silver coins: What to do with them? Lots of people–especially those who experienced the Great Depression–saved gold coins as a hedge against the uncertainty of banks. If you’ve inherited any gold or silver coins, don’t sell them for meltdown! Take them to a reputable coin dealer—they may be worth more than the gold or silver content. If they have no value to collectors, then you can sell them for melt if you need to. Krugerrands, the most common gold coin for collectors, contain one troy ounce of gold, so their gold value can easily be calculated by multiplying by the current market price of gold as found online or in the newspaper. If your coins are foreign and you’re not sure of the country of origin, type whatever you see on the coin into your computer’s search engine–that should tell you. Or go to http://www.translate.google.com and type the words into the box and let it translate. Once you determine what country your coins came from, you can look online and learn how much silver or gold they contain. There are different types of silver coins: silver bullion coins are pure silver, made for investment purposes. You can figure the worth of those by looking at current market price for silver. There are numismatic silver coins–the sort coin collectors value. Take yours to a reputable coin dealer (better yet, two or three) and see what they tell you, or research them yourself online. There are also the pre-1964 coins that contained silver–quarters, dimes, dollars, and half dollars, shown at right. After that year, almost none of our pocket change included silver any more. These coins are sometimes called “junk silver” but don’t let that name suggest they are junk! They are valuable for their silver content. Lots of people saved these when the country stopped using silver in coins, so it wouldn’t be surprising to find a piggy bank or sack of coins in your inherited Stuff. Most of these American coins contain 90% silver. Kennedy half dollars of 1965-69 contain just 40% silver. Since 1964, only a few special issue collectors coins have had any silver. 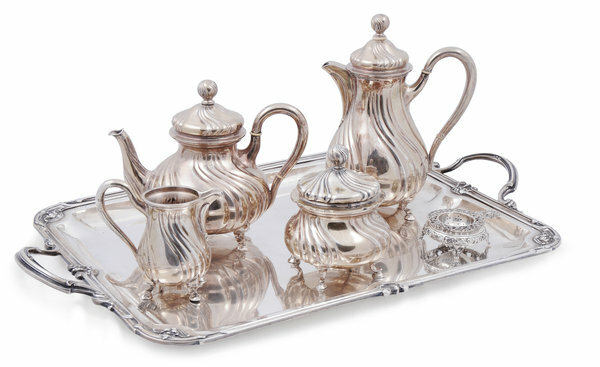 Do not polish or clean your silver coins. Shiny is not better. Every estate will have a kitchen full of small appliances, pots and pans, utensils, and gadgets. What do you do with the items you don’t want? Send old toasters, blenders, mixers, and the like to Goodwill or a similar organization. 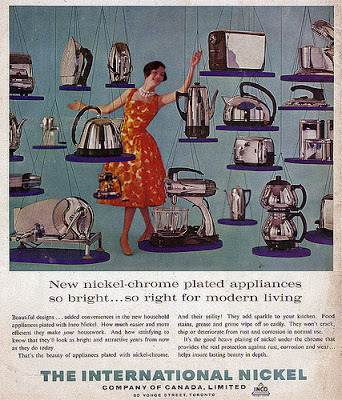 In the unlikely event that you have a really old appliance, one that has been around since before World War II and is still in good condition (not corroded or missing handles), a historic house museum might be interested in it, if you are inclined to donate (and take a deduction from your taxes for the value). Or it could be worth a modest amount to a collector. Get a copy of the Price Guide to Collectible Kitchen Appliances, from Aerators to Waffle Irons, 1900-1950 from your librarian or a used copy from amazon.com. Believe it or not, there are collectors’ societies for toasters, www.toastercollectors.org. There is good information on that site and also at www.toastermuseum.com where you can find pictures and prices of toasters, some of which sold for thousands of dollars on eBay or other auction houses! And what about can openers? You should be able to identify your old can opener with the pictures shown at www.the-canopener.com.